Founded in 1960, Charles Kennedy, Sr. began Kennedy Office Supply from his basement with an accounting background, a station wagon for deliveries, a commitment to provide value to his customers, and to develop long-standing relationships with each of them. 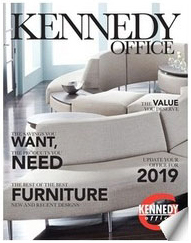 Based on those simple yet sincere principals, Kennedy Office has grown to multiple locations (Raleigh, Greenville, Wilmington, Concord and Shelby) in North Carolina making us the oldest and largest independent office products supplier in the Triangle area and eastern North Carolina. Want to promote your business, but need a little inspiration? 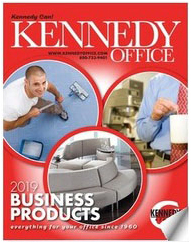 Visit our new Kennedy Office promotional items website, and add your logo to anything from office accessories to hi-tech gifts! The possibilities are endless! 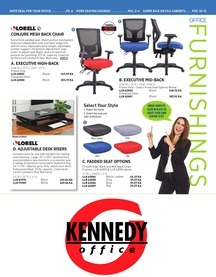 "Kennedy Office Supply is the perfect fit for any office setting. Their ability for next day delivery is extremely convenient. Having done business with them for years, my inside sales contact knows our needs and history so well that all I have to do is send them an email requesting a product and almost immediately they're responding back with part number and price. The ease of order placement makes it to where I'm able to focus my attention on matters that have greater priority. 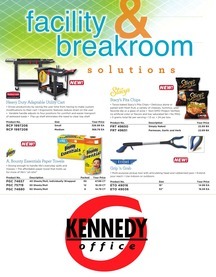 With Kennedy Office, it's as if you an office supply specialist on your staff." Nicki DeWeese Professional Recovery Consultants, Inc. In response to Kennedy Office winning a Business Leader of the Year award for 2011: “Congratulations! PRC has been very happy with Kennedy’s contract pricing, customer appreciation, quality, delivery and overall service provided by Marc, Andrew and Kennedy and I’m happy that you’ve received recognition for that.” Nicki DeWeese Professional Recovery Consultants, Inc.
“[My coworker] is ecstatic that she can work in comfort [with her new keyboard tray]. Not only that, she was incredibly impressed with the service and concern she received from Keith. Daryl Ann Majkowski The North Carolina Partnership for Children, Inc.
“[My coworker] is ecstatic that she can work in comfort [with her new keyboard tray]. Not only that, she was incredibly impressed with the service and concern she received from Keith. He came up with a much better placement solution for her. She has suggested that we always ask for him in the future because ‘He knows his stuff.’ So once again, NCPC has been the recipient of outstanding customer service from Kennedy Office!” Daryl Ann Majkowski The North Carolina Partnership for Children, Inc.